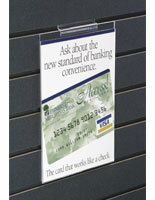 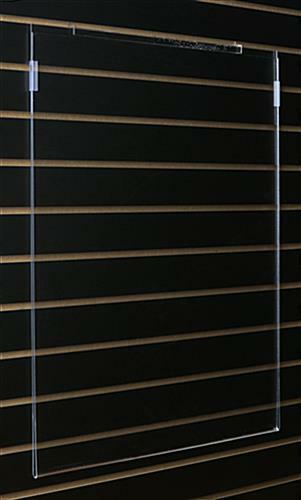 This clip on slatwall poster display is designed to quickly and easily attach to standard slatted fixtures and panels. 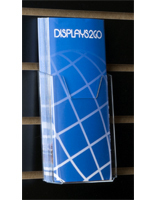 No hardware is required to mount the side-insert 22" x 28" poster holder. 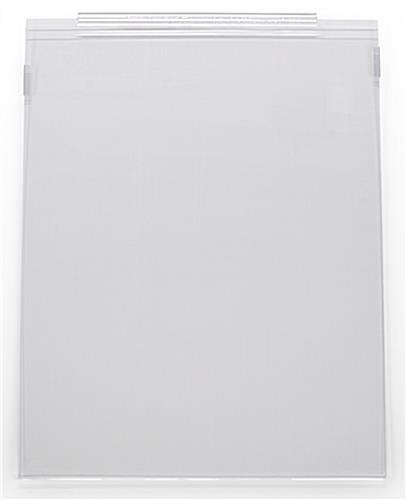 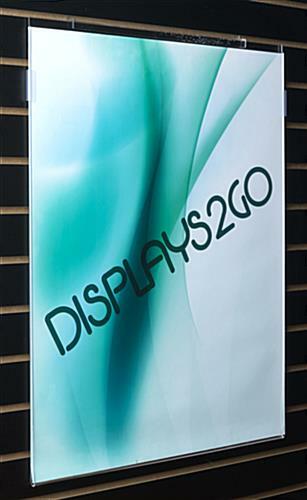 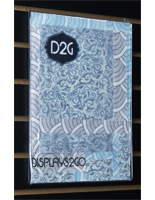 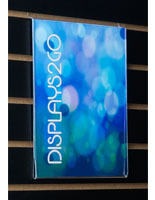 This clear acrylic slatwall poster display is sized for standard 22x28 signage or graphics prints. 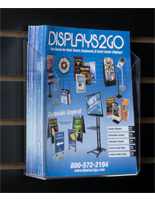 This high visibility advertising accessory is ideal for showcasing sales & marketing information and messaging in high traffic areas. 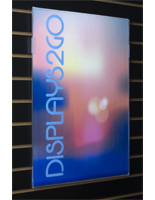 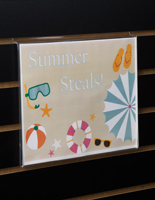 This 22x28 slatwall poster display is a versatile, economical graphics holder that will attract customer attention in retail and commerical environments. 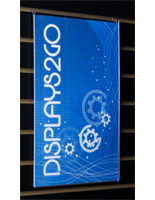 The simple design allows 22" x 28" signage, advertisements, and prints to be easily swapped out to keep up with changing marketing needs.